How and why sales performance alone is rarely an effective gauge of sales strategy quality. How to use “ingredient assessment” to estimate the odds that your sales strategy is solid. Seven areas where just asking and answering the right questions can be extremely revealing. 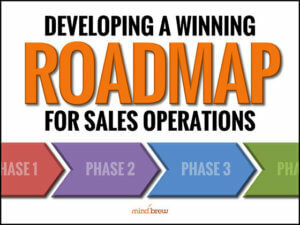 The most powerful and predictive "ingredient" that ensures your sales strategy is effective. This diagnostic is just one of hundreds of educational resources you get access to as a SellingBrew Playbook subscriber. Reducing Losses to "No Decision"
Studies have shown that companies can lose up to 40% of their forecasted deals to "no decision". In this on-demand webinar, learn strategic and tactical approaches for dealing with prospect inaction.